I recently had a chat with a colleague of mine who started trading binary options and was referred to a service called Auto Money Generator. Right from the start the provider seemed to be a bit sketchy because it offered a free quick rich scheme with no need to invest, and it was no surprise that as he continued trading the win/loss ratio grew in favor of the broker and he started losing his money. Now, let’s get back to basics and review this scam to try to see what kind of tactics these people employed to try and defraud innocent people. So, as I continued with this charade it was getting clearer that this is just another hoax perpetuated by affiliates trying to get their commissions by referring people to binary options brokers. But just to make sure I dug in deeper and this is what I found out. First of all, there is no one called Paul Raven. It’s just a fake name that was pulled out of hat and someone thought it sounded good. Usually there is some type of reference as to who the person is and what they achieved, this is to prove their public record or what they have done during their lives and how successful they are. This is especially true today when the internet and social networks provide information freely. To be specific, if I was going to talk about finance and business, I would put a picture up and also provide a link to a website and a brief about what the business is about. Here’s one example of how to do it: In the image on the below you will see Warren Buffet. He has a multi-billion dollar holdings company called Berkshire Hathaway, and wife is named Astrid. Now, in reality when you checkout a system the person behind it doesn’t have to be someone well-known, but you do need to understand who you are dealing with. Now, with a crappy product like this it’s relatively easy to understand you are dealing with a scam. However, if you compare it to Walter Green’s Free Money System, you will see that the level of deceptiveness is very high there and the marketers understand how to approach people in a way which neutralizes their levels of resistance and that is why I’m very much enraged with their cheating sales tactics. So moving forward, any system that shows you millions of dollars and tries to pull you in to register and fund a trading account with a broker has to be getting paid on the back end. Otherwise why go through all the trouble? I mean, would you spend time and money creating fake videos and paying actors and programmers to maintain your infrastructure unless someone was paying you money? Didn’t think so, no one likes working without getting paid. Alright so moving forward, there are a bunch of spelling errors and typos on the video in the registration page which leads me to think that the people who created this video are not native English speakers, or alternatively completely stoned (probably a combination of both). 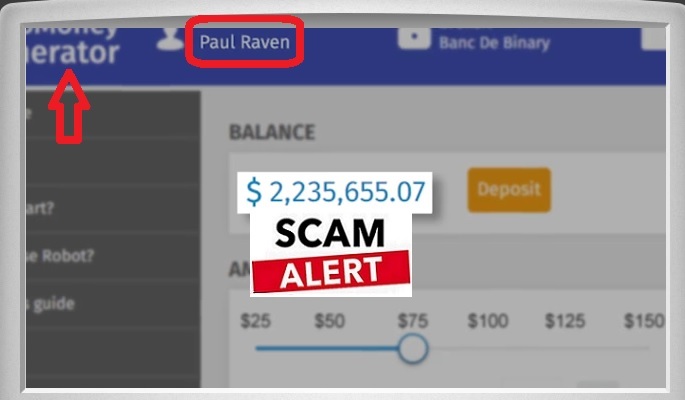 Here’s the last and final red flag telling you to stay away from this bogus scam. In the members area you are required to register your details, but are not even aware you are signing up for a binary options broker. In many cases people who register and get a phone call from a brokerage don’t even understand what they want from them and either hang up or get extremely irritated (and with good reason). So to sum up, the Auto Money Generator is just another scam perpetuated by affiliates who want you to signup for a binary options broker under false pretenses of wealth and riches. 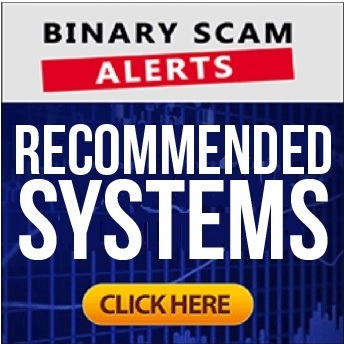 While it is true that some systems offer accurate signals or advanced automated trading tools AKA bots, this particular one is a cheap fraud and I recommend you stay as far away from it as possible.